SALLY O’Brien is making a return. 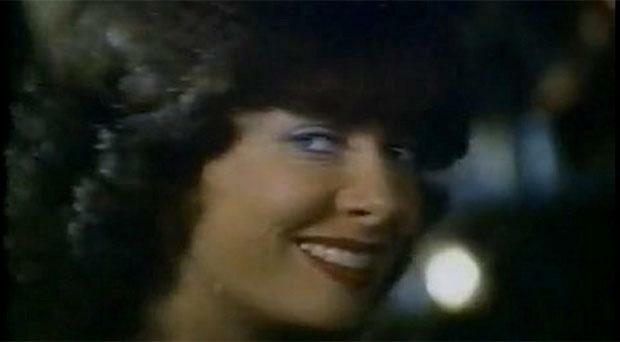 Vicki Michelle, the British actress who beguiled a generation of Irish men with the “way she might look at you” in a famous ad for Harp, is returning to Ireland for the first time in decades. The Allo Allo actress will be making an appearance at the Galway Film Fleadh. The 62-year-old will be in the City of the Tribes tomorrow where her latest flick The Call Back Queen will have its world premiere. “I haven't been to Galway in years and years and it is a beautiful part of the country so I am looking forward to getting back there,” Vicky told the Herald. “My grandmother is from Cork and I've always felt an affinity to Ireland,” added the actress, who is best known for her role as Yvette in popular British sitcom Allo Allo. After filming the ad in the 1980s, Vicki has gone on to win acting acclaim alongside top actors, including Ray Winstone. But today, she is still recognised on the street as Sally O'Brien, something that the actress takes as a compliment. “It's really funny because sometimes people come up to you and go ‘I know you' and I say ‘yeah I'm Vicki Michelle', but they're like no ‘Sally |O'Brien' so it's quite nice that people still remember. “I haven't aged too much then,” she laughed. Vicki will be in Ireland with her daughter Louise (23), also an actress, and who bears a striking resemblance to the actress from her Sally O'Brien days. hnews@herald.ie\[Melanie Fairhurst\]In The Call Back Queen, Vicki stars as a casting director who likes a drink and she says she loved working with the stellar Irish cast. A romantic comedy set in London's film industry, the plot centres around Kate Loughlin, a vivacious young actress struggling to get her big break. “Graham Cantwell is a great director and Amy (Joyce-Hastings) from the Tudors, who plays Kate, is so talented and Mark Killeen (Game of Thrones) was brilliant so we had great fun. “Graham did a great job casting and I really love working with Irish actors,” said Vicki. Earlier this year, she produced Run for Your Wife, a comedy starring Danny Dyer, Girls Aloud singer Sarah Harding and Christopher Biggins. “That's coming out on DVD in September and my daughter was in it playing Frances so it's an exciting time,” explained Vicki. While in Ireland Vicki is also hoping to hook up with actor Ray Winstone who is currently on location in Dublin and Wicklow filming for new two-part series Moonfleet. Next up for the actress is a role on Jo Brand's Great Wall of Comedy, which airs on GOLD on July 14. The Callback Queen will have its world Premiere at the 25th Galway Film Fleadh in the Town Hall Theatre at 7pm on July 10.